The term "Instant Orthodontics" is a nickname for porcelain veneers. Veneers make such a dramatic and fast transformation to your smile that it appears as if you have had orthodontic work done. But instead of going through two years or so of wearing braces, you have merely had two dental visits and your front teeth are now white, even and straight. When these problems are not severe enough to warrant orthodontic work, porcelain veneers are an excellent choice. Although dental porcelain by itself is brittle, it becomes very strong and durable when it is bonded to your teeth. Each veneer becomes part of that tooth, giving it a new front surface. Whenever a laser is used in a modernized medical or dental procedure, it makes things faster and safer. The procedure is completed far more quickly, with far less risk of infection, less bleeding, less pain, and a shorter recovery. Dr. Ted Murray has a Diode laser, designed to work on soft tissue as opposed to bone or tooth enamel. It gives off a mild heat that instantly removes unwanted gum tissue and seals the remaining gums. There is no cutting required and no stitches. Laser gum recontouring is a very effective way to re-sculpt your smile, giving the impression that you have had "instant orthodontic"work done. It corrects a "gummy smile" by exposing more of the tooth surfaces, creating more balance and better proportions in your smile. A dental crown is a new white cover that replaces all the outside tooth surfaces. It is used when a tooth is too severely damaged to be corrected with a white filling or a porcelain inlay or onlay. Our dentist will clean the tooth and have our dental laboratory custom-craft a crown to fit exactly over the remaining part of the tooth. A porcelain crown provides instant new surfaces for the entire tooth. The word "orthodontics"comes from two Greek words meaning "straight"or "proper"and "tooth". With a porcelain crown your tooth does indeed look straight and proper, as if you have had instant orthodontics. 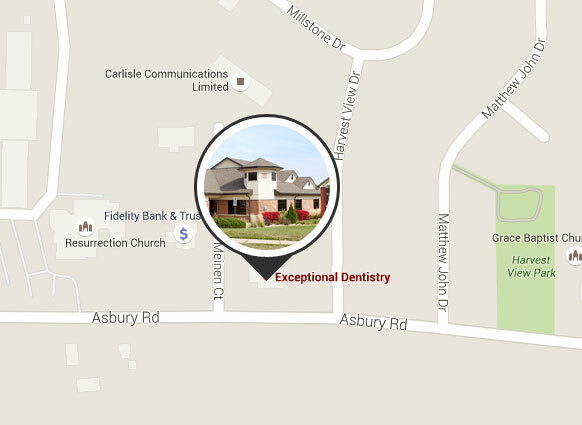 If you would like to schedule a dental evaluation, please call 563-556-2711 or send an email to our cosmetic dentistry office today. We serve Cedar Rapids, Davenport, and Dubuque in Iowa and Galena in Illinois.